Direct Release Products: Ingredient Standards - J R Hess & Co., Inc. The EPA Safer Choice program includes specific standards for “Direct Release” products. If you formulate or market products used in the outdoors and released directly into the environment, you may be familiar with this product classification. And the challenge of finding qualified chemical ingredients. Direct release products may include boat cleaners, graffiti removers or other transportation cleaners used on-site (i.e. asphalt truck cleaners). In many cases, the run-off from these products enters a sensitive natural environment directly, bypassing sewage treatment. Due to the limited window for biodegradation and direct impact on aquatic life, the EPA has developed a stricter set of standards that apply to chemical ingredients used in direct release formulations. In fact, all chemical ingredients in a direct release product must satisfy specific Safer Choice criteria relating to aquatic toxicity, biodegradation and bioaccumulation. Any ingredients (including surfactants, preservatives, solvents, etc.) 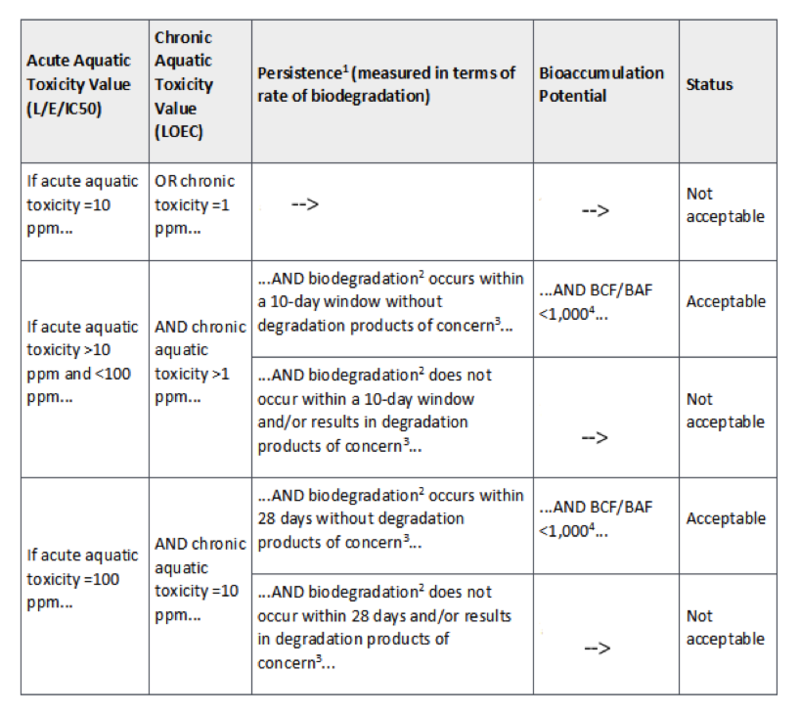 that have aquatic toxicity values <10 mg/L are not allowed in Safer Choice direct release products. If you are formulating a product for a direct release application, and seeking to bolster your environmental claims by earning the Safer Choice designation, make sure each chemical ingredient satisfies this standard. We often talk to formulators about choosing qualified surfactants for these applications. Your options are certainly more limited when compared to other Safer Choice categories, or those under other green certification programs, but here are a few starting points for surfactant selection. For example, Sodium Alkane Sulfonates with excellent coupling and wetting properties. Certain hydrotropes within this category are readily biodegradable and present very low levels of ecotoxicity. See, for example, Stepan’s Bio-Terge® PAS-8S. Certain nonionic surfactants, such as Linear Alcohol Ethoxylates, may meet the criteria for direct release products under Safer Choice criteria. For example, Tomadol 1-3 may be used in a direct release formulation both for its biodegradation and, with respect to cleaning performance, its oil solubility properties. These nonionic surfactants may present very low levels of eco-toxicity and excellent rates of biodegradation. They are used as emulsifiers, foam modifiers, lubricating agents, and more. Check with your ingredient manufacturer for data on specific properties to confirm whether a molecule meets the direct release standards. We are still trying to understand how to design effective formulations that meet the updated Direct Release standards. Notwithstanding the Safer Choice designation, using ingredients that will not harm aquatic life is an important goal for any environmentally sensitive chemical application. If you are working on a direct release project, or curious about exploring potential ingredients for a similar application, feel free to get in touch with us.